At Eventos Barcelona we take care of the global production of events, whether international conventions, company meetings, gala dinners or shows for corporate events. Stage production is an important part of our service, and we apply our experience to construct the technical set up for any type of event or venue. Imagine a great wedding reception with all your guests on a platform dancing like crazy to the latest hit. Or maybe you want to feel at the height of sophistication addressing your audience at your renewable energy conference. How about a floor level African dance show? Or a stage to display the fruits of so many days of hard work? All your dreams of the perfect event a centred around the platform or structure that makes your wedding, stand or conference that more important and stand out from the crowd. 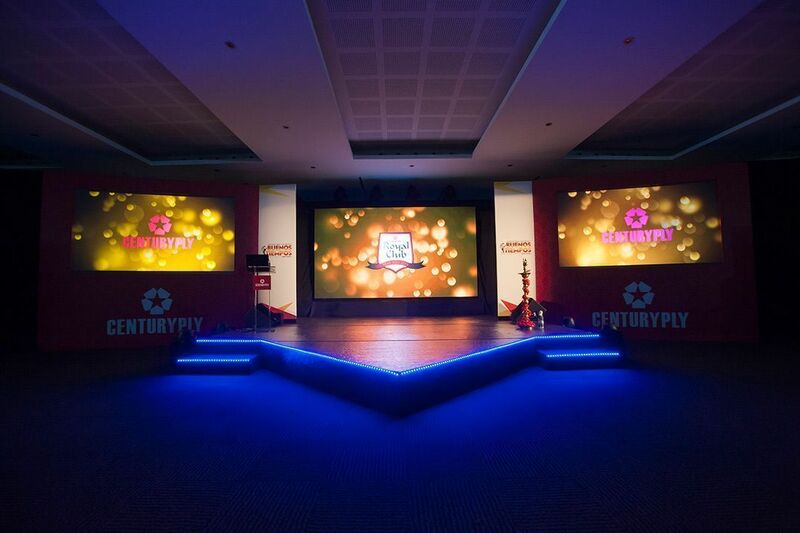 A stage is a critical part of any event. It is the high point of the show, the platform from which to address fans, attendees and guests. It is your Mount Olympus on which to create and to allow others to enjoy themselves. At EB we organise all types of events, from weddings to cocktail parties, providing everything you need for a good gathering: lighting, sound, audiovisual effects and of course stage hire in Barcelona for all tastes and audiences. We are always working to get the best results for all our clients. Whether you want to hire platforms and stages, event structures or extra staging for that prized party, our brand has a team of professionals ready to help and be by your side for the organization of your dream event right from the start. We will advise you on the best price-quality products and will think of the smallest of details before you get caught out. We will surpass your expectations and ensure that everything is ready for the big day. A day even better than you ever could have imagined. So, if you are looking for stage hire in Barcelona, EB is your best bet to get you up there, on the stage that you always wanted. And to make your event a real success.